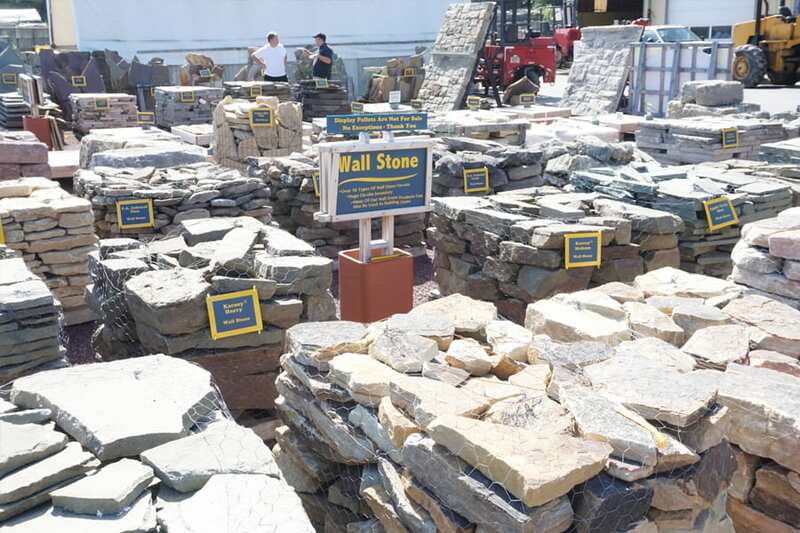 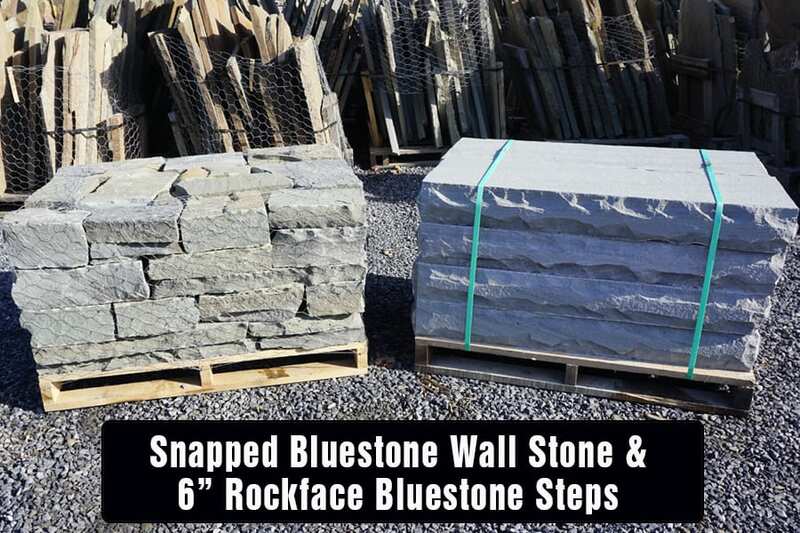 Traditional bluestone slabs snapped on our stone guillotine into straight edged pieces that are extremely easy to work with by wall stone standards. 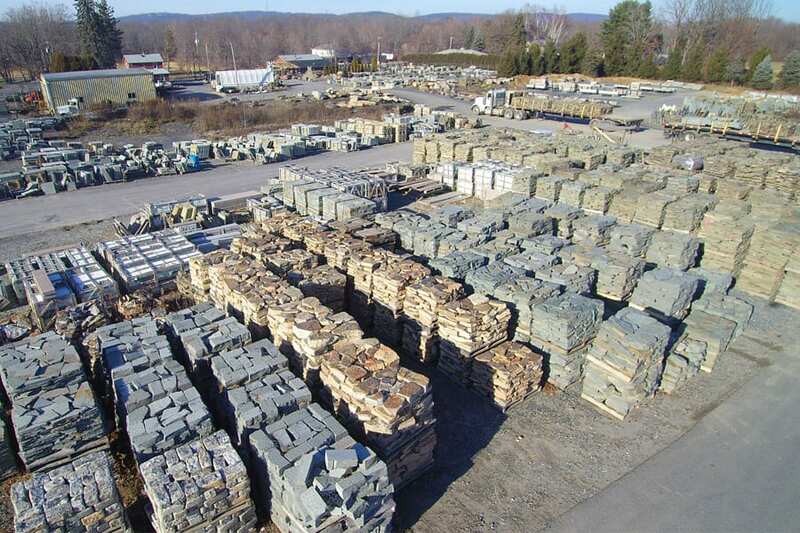 Silvery gray bluestone colors. 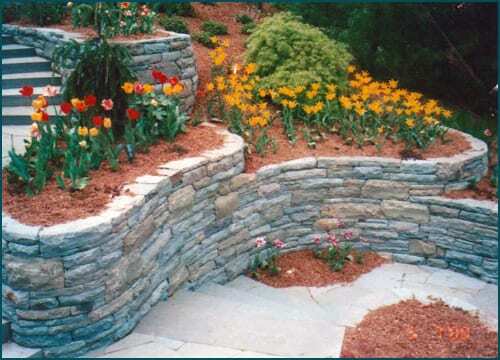 Produces strikingly beautiful walls. 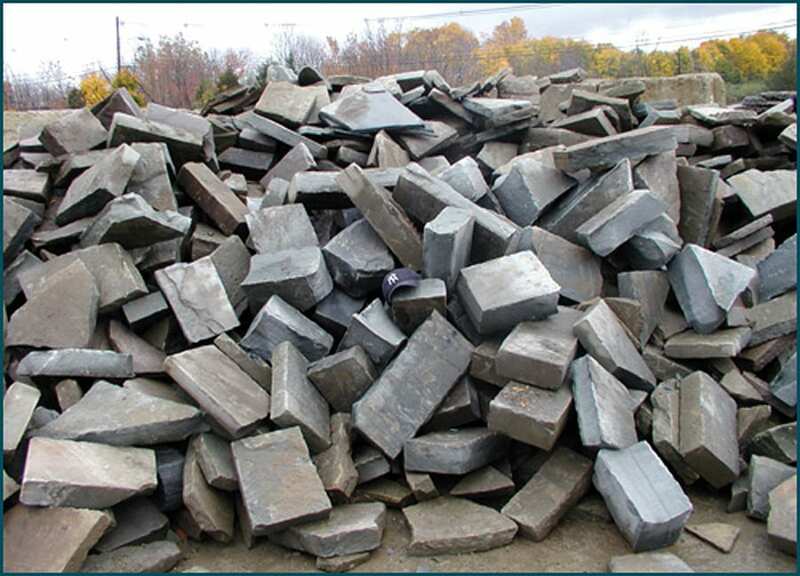 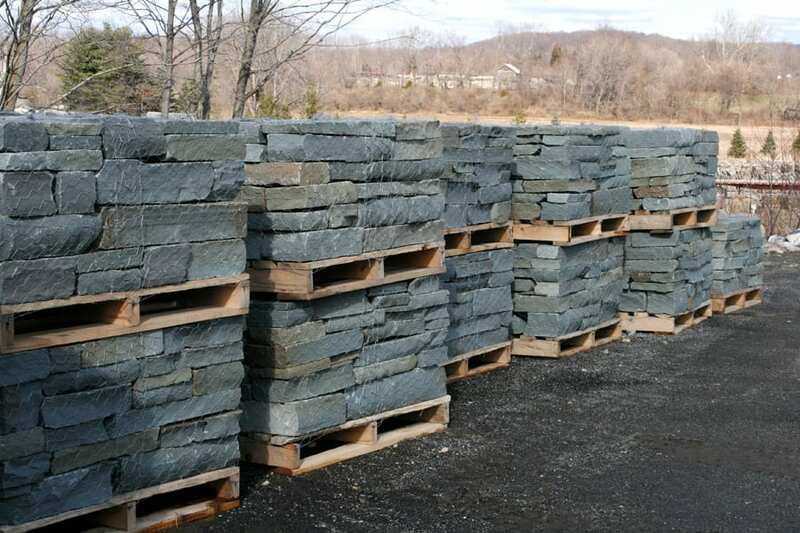 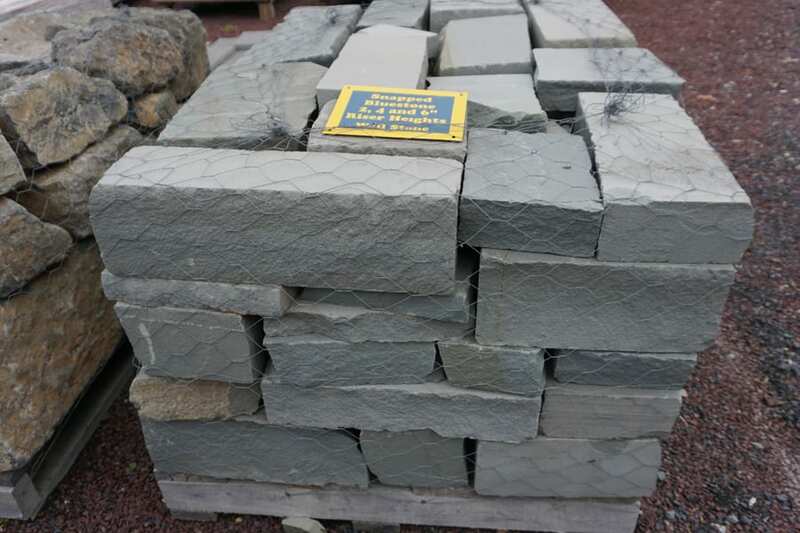 Snapped bluestone is also available in bulk for larger jobs or to round out a smaller job when the pallet runs out. 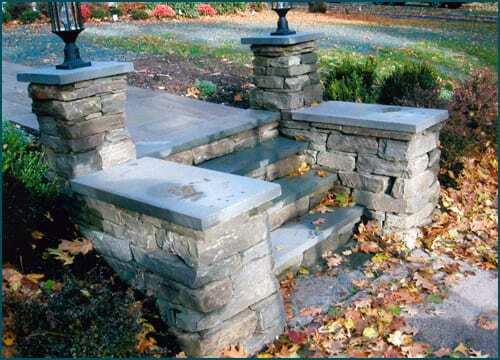 The stone is extremely easy to work with and can be used in smaller applications like lamp posts. 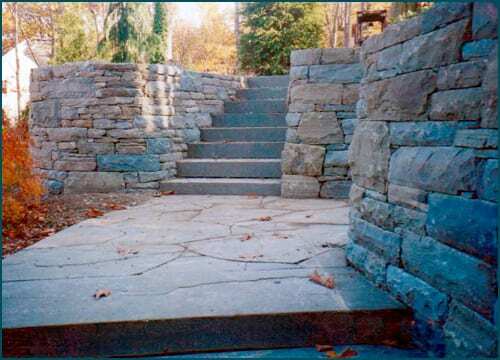 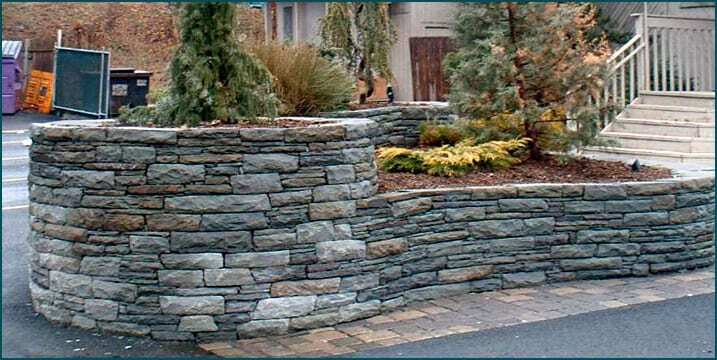 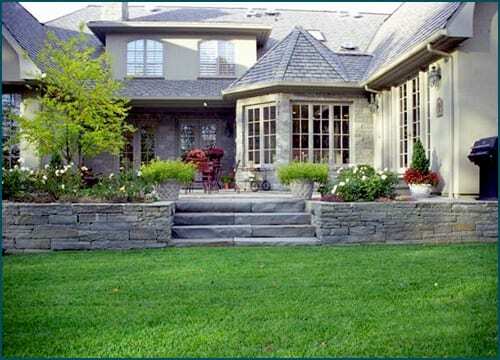 Snapped bluestone wall and snapped bluestone steps make a neat and elegant wall stone/step combination.